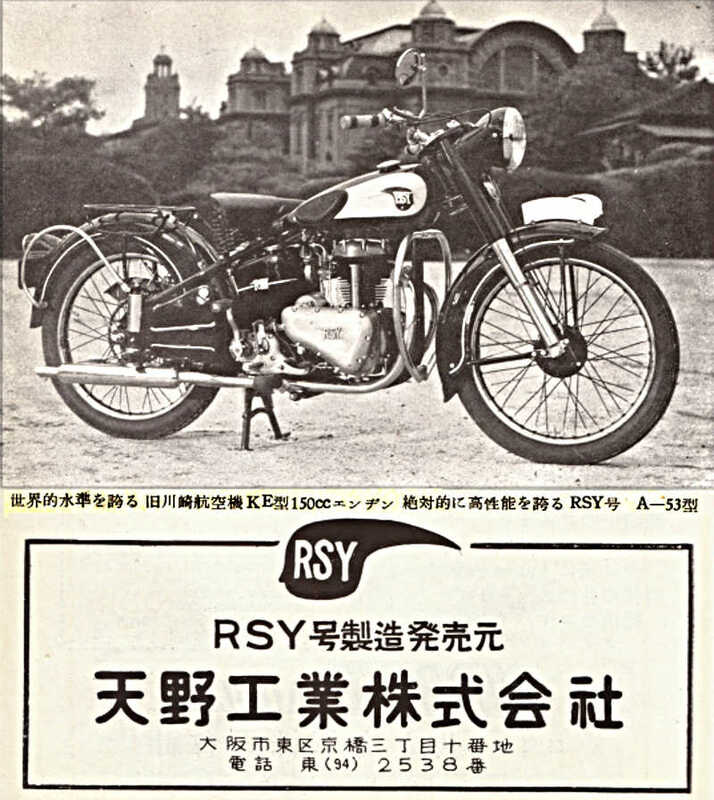 Amano Kogyo made the RSY (RSY号) brand of machines, possibly only for one year, although it seems likely they had a 1953 model as well. 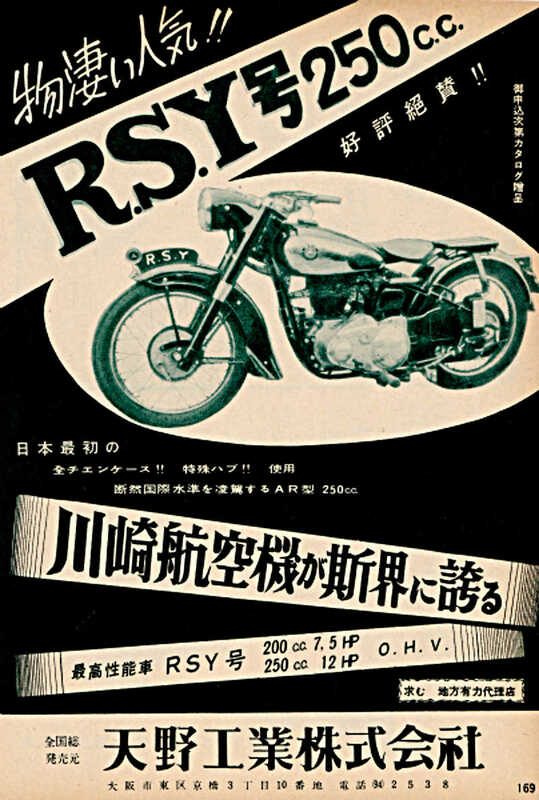 These were offered in a 150cc, 200cc and 250cc versions, using Kawasaki engines. There is a very good write-up focused on the Kawasaki engine development, and what machines they were installed into at this link, written by someone called Miki Shobo. Well worth a read !